Clean the dryer vent: A clogged dryer vent is dangerous. It can cause a fire hazard and make your dryer less efficient, driving up energy costs. You can vacuum the vent yourself if you suspect a clog, but hiring a professional with the right tools to clean it properly is a better option. Inspect your deck: According to American Home Shield, your deck may only need a good pressure washing, but if you have loose boards, wood decay or other damage, you’ll want to make repairs. A handyman or carpenter can help identify problems and make more extensive repairs. Clean out those gutters: Removing leaves and debris from your gutters and window wells is a must in the fall to keep them clear so rainwater can drain without obstruction when Seattle’s rainy season comes. Eyeball your roof: Do a visual inspection of your roof from the ground (binoculars are great for this!) to find loose shingles or other damage. For safety reasons, contract with a roofer or other trained professional to do any repairs. Seal those gaps: Look for gaps and cracks around windows and doors. Add caulking or weather stripping where needed. These simple fixes can make a big difference in terms of energy costs and your family’s comfort. 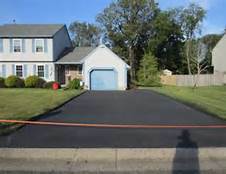 Fix the driveway: If you have holes or cracks in your driveway, patch or fill them if they are minor, or hire a professional for more extensive repairs. To view the full article, visit American Home Shield online.